I've got a fun card for you today! As soon as I saw this new stamp I knew it was to be mine! We tend to use this little ditty in my family. If I can't just mix it and dump it in the pan it's not a recipe for me. my sentiment. The vintage papers I choose gave my card the retro feel I was looking for. Couldn't resist tying a snip of twine to each end of the rolling pin to finish it off. Clever sentiment! 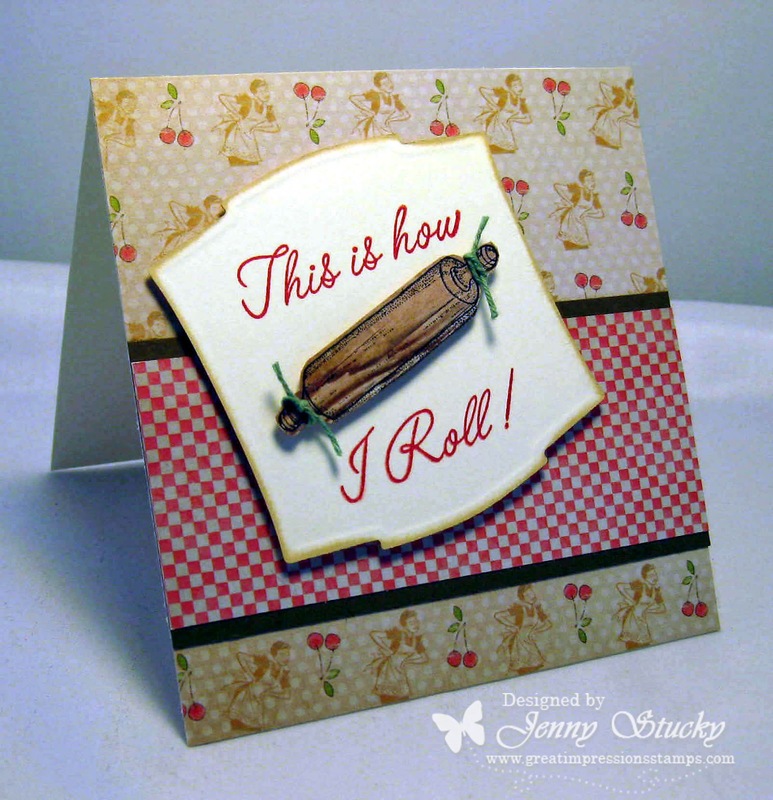 The twine give the rolling pin added depth and makes the card pop! Love it! So cute! I love the punny sentiment! Cuteness!!! Love this - so much fun! The paper is so fitting..makes the card jump. Love it! Love it!!! It is great how the rolling pin and all the background paper works together. Awesome image. Love the clean and simple look of your rolling pin!